Sitting in her car outside the doctor’s office, Jennie McNeill, then 36, felt the hammer come down. After holding her composure in the office and listening intently to what the doctors had to say, after collecting her thoughts and asking the pertinent questions, she let the tears come. Resting her head on the steering wheel, she thought about her three kids. She thought about what to tell the staff of her two-year-old New Orleans planning firm. Then Jennie thought about her role model, her mother, who had lost a valiant four-year battle with cancer just a month earlier. Now, the doctors said, it was coming for her. Children and family naturally spring to mind when one is facing a potentially life-threatening illness. But what about your job? Part of your family’s security comes from your knowing how to handle a medical condition that could affect your work or, worse, take you out of the office for months of recuperation. How much? How little? How late? How do you break the news to your boss? Your staff? Do you tell them at all? What will your clients say if they find out you’re in less-than-perfect shape to run their meetings? Every situation is different, but those who spoke to M&C agree that when, whom and how much you tell depends on your work environment. For McNeill, telling her small staff was imperative because her company was still in the growing stage. Unfortunately, so was the cancer. “The doctors told me that I had to have the operation [to see how bad the situation was] as soon as possible,” she says. Still, she put off the surgery for two weeks to meet with attorneys and set up things she never before thought about: her will, who would take care of her kids if she couldn’t. In her haste to get her business up and running, she had failed to install a medical safety net within the infrastructure of the company. Sims, who has worked in human resources for 25 years, thinks this course can be taken in a small work environment, but cautions against it in larger corporate settings. “You don’t want to have too many agendas. You’ll begin to lose track of who knows and who doesn’t,” he says. Because his problem struck with no warning, Griffin did not have the luxury of planning ahead to compensate for his absence, but he is not permitting job stress to inhibit his recovery. Health should come first. With a serious illness taking its toll on the body and thoughts of the consequences turning cartwheels in the mind, planners are going to have to delegate work to staffers in order to get better and ensure clients are having their needs met seamlessly. Chris Carr is director of conference services for the American Automobile Association based in Orlando, Fla., and a member of MPI’s executive committee. A planner for 22 years, the last thing he expected was for a simple surgery to turn into a fight for survival. 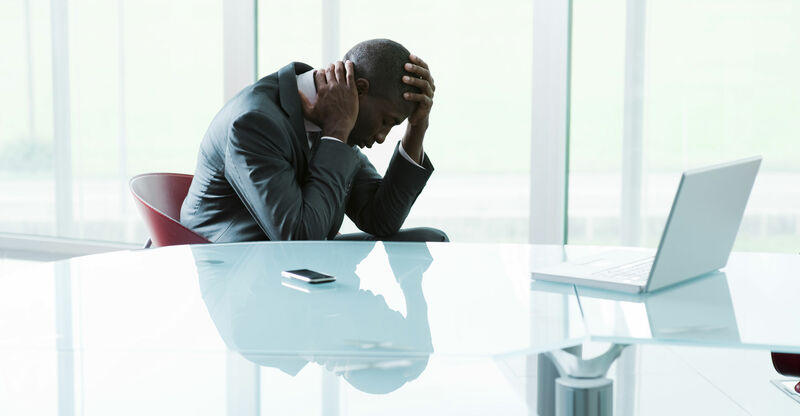 Focusing too hard on missed work and deadlines will create stress, which can impede recovery. “Work can help to get your mind off the illness, but pushing yourself too hard can affect the ability to heal,” says Kelly Johnson, clinical social worker for the Piedmont Cancer Institute in Greensboro, N.C. Hard-core treatments like chemotherapy or radiation can exhaust a patient, stressing the immune system and affecting the ability to bounce back. Viscusi believes the key to recovery in the workplace is to not make your condition the focal point of your life. “Even in cases with chemo, people are often back at work sooner then they think. One of the keys to survival is staying active.” Viscusi’s mother, who died of breast cancer, was instrumental in making him realize the importance of work in a patient’s life. Viscusi does not mock the serious nature of the illness; rather, he means to let people know that the first step to recovery is to maintain positive energy and not let an affliction stand in the way of what they love to do. Employees returning to work after a medical problem has kept them from the office tend to be guilt-ridden, says Lester Tobias, Ph.D., a management psychologist based in Westboro, Mass. They feel awful about missing work. “Managers need to follow their human instincts,” says Tobias, “and let the person know that the company will understand.” He says the boss should make it abundantly and repeatedly clear that it is OK if they cannot perform at their previous level. Following are four ways to ease financial woes. Notify mortgage, car loan and credit card companies of your situation. Try to work out with them some modification to your payment schedule. You will be in a much stronger position to negotiate if your payments are current and generally have been on time in the past. Call your lawyer if alimony and child-support payments are involved. Keep your lawyer current on your prognosis so he can work effectively on your behalf. Contact your state unemployment office regarding your eligibility for benefits.